Melbourne: A review into a ball-tampering scandal has condemned an “arrogant” and “controlling” culture at Cricket Australia that led to players cheating in pursuit of victory. The independent review by the Sydney-based Ethics Centre accused Cricket Australia (CA) of only paying lip service to the spirit of the game, leaving players without any moral guidance. Coach Darren Lehmann quit in the wake of the controversy and then-captain Steve Smith, deputy David Warner and batsman Cameron Bancroft were banned from the game. 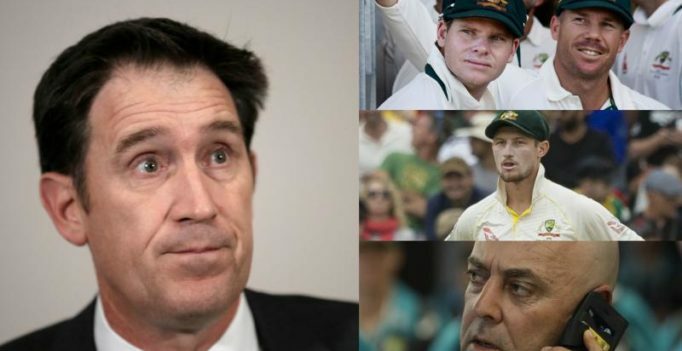 The review, which was partially redacted to prevent individuals being identified, included complaints from those involved in the sport that there was a bullying culture in elite men’s cricket. “The broad consensus amongst stakeholders is that CA does not consistently ‘live’ its values and principles,” it said. CA chairman David Peever said the review provided an opportunity for the body to “look in the mirror”.